Leading researchers from five of Britain's top universities are joining forces to improve understanding of the social, psychological and clinical problems experienced by people with cancer. The 'Cancer Experiences Collaborative', which will be led from the University of Southampton, together with partners at the Universities of Lancaster, Liverpool, Manchester and Sheffield, has been awarded £1.9million over five years by the National Cancer Research Institute (NCRI). Working directly with people affected by cancer, researchers will investigate ways in which patients and their families can cope more effectively, how they can maximise the benefits of treatment and live as well as possible, and how the best care can be delivered in the right place. A report in 2002 by the NCRI found that only about four per cent of the cancer research budget is spent on supportive and palliative care. More attention is needed to highlight and overcome the social and personal problems that cancer can bring. The 'Cancer Experiences Collaborative' involves the five Universities as well as people with cancer, leading hospice charities and service providers, key professional bodies together with cancer clinicians and networks. Professor Julia Addington-Hall, Professor of End of Life Care at the University of Southampton, said: "Research funding in this way - awarding funds to collaborative projects - has never before been available in supportive and palliative care. We will use it to make a real difference to the lives of people affected by cancer." The Collaborative aims to use research evidence to change clinical practice and the way services are organised. Its work will help improve the care of all people experiencing cancer and other serious illnesses. It has three main priorities: innovative approaches to the self-management of complex symptoms; planning for the care of older adults towards the end of life, and investigating better ways of understanding and learning from the stories and experiences of people affected by cancer. It also has a crucial role to play in identifying, training and supporting the next generation of researchers in supportive and palliative care. The bodies funding the Collaborative through the NCRI are the Department of Health, Marie Curie Cancer Care, Macmillan Cancer Support, Cancer Research UK, The Economic and Social Research Council and the Medical Research Council. 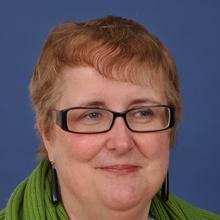 Professor Julia Addington-Hall is Professor of End of Life Care within Health Sciences at the University of Southampton. The NCRI consists of: The Association of British Pharmaceutical Industry (ABPI); The Association for International Cancer Research; The Biotechnology and Biological Sciences Research Council; Breakthrough Breast Cancer; Breast Cancer Campaign; Cancer Research UK; Department of Health; Economic and Social Research Council; Leukaemia Research Fund; Ludwig Institute for Cancer Research; Macmillan Cancer Support; Marie Curie Cancer Care; The Medical Research Council; The National Assembly for Wales; Northern Ireland Health and Personal Social Services Research & Development Office; Roy Castle Lung Cancer Foundation; Scottish Executive Health Department; Tenovus; Wales Office of Research and Development for Health & Social Care; Wellcome Trust and Yorkshire Cancer Research. The University of Southampton is one of the UK's top 10 research universities, with a global reputation for excellence in both teaching and research. With first-rate opportunities and facilities across a wide range of subjects in science and engineering, health, arts and humanities, the University has around 20,000 students and 5000 staff at its campuses in Southampton and Winchester. Its annual turnover is in the region of £274 million. Lancaster University www.lancs.ac.uk, founded in 1964, has won international recognition for the quality of its teaching and research and is one of only a handful of universities to have a college system. Lancaster University will be leading medical education delivery, as part of a consortium, in Lancashire and Cumbria and has established The Centre for Medical Education http://www.cme.lancs.ac.uk/ as the co-ordinating unit for all medical and health-related activity across Lancaster University. The University of Liverpool is one of the UK's leading research institutions. It attracts collaborative and contract research commissions from a wide range of national and international organisations valued at more than £90 million annually. The University of Manchester is Britain's largest single-site university with a proud history of achievement and an ambitious agenda for the future. It boasts 36,000 students, 4,500 academic and research staff and 500 degree courses. It has an exceptional record of generating and sharing new ideas and innovations. Today it is one of the world's top centres for biomedical research, is at the forefront of new discoveries in science and engineering and is also applying its expertise and knowledge to solving some of the major social, economic and environmental problems confronting mankind around the globe. The University of Sheffield is one of the UK's leading and largest universities and a member of the Russell Group. There are currently over 24,000 students from 118 countries studying across a wide range of disciplines. The University is at the forefront of world research so its teaching is informed by the very latest academic developments. It has well-established partnerships with a number of universities both in the UK and abroad, as well as with many leading UK and global companies.